Two fires, the River and Ranch fires, are collectively named the Mendocino Complex. The complex has burned 304,000 acres and became the largest wildfire in California history late Monday night, surpassing the Thomas Fire, which burned 281,893 acres in Santa Barbara and Ventura counties this past December before it was contained. 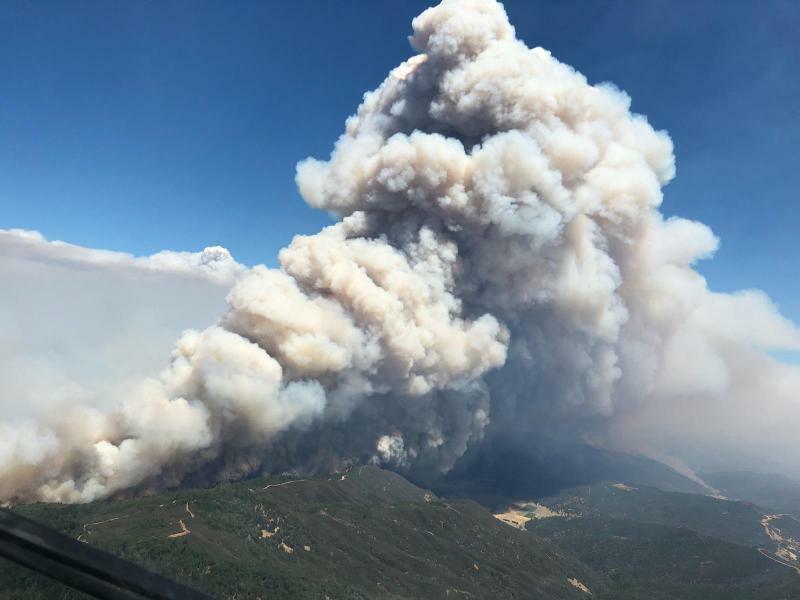 As of Thursday, the River Fire had burned 48,920 acres northeast of the community of Hopland and west of the town of Lakeport. But that fire is 84 percent contained. The Ranch Fire, burning southwest of the community of Potter Valley and north of Highway 20, is the larger of the complex fires, growing significantly earlier this week and creating a challenge for firefighters. It now consumed 2515,482 acres and is 48 percent contained. Officials now estimate the fire won't be fully contained until Sept. 1. Damage update: At least 221 structures -- including 116 homes -- have been destroyed. Another 10,300 structures remain threatened. Evacuations and repopulation: Mandatory evacuation orders are in play south of the Glenn County/Colusa County line and east of the Colusa County/Lake County line, north of Highway 20 and west of Bear Valley/Leesville Ladoga Road/Sites Ladoga Road/County Road 401. See Cal Fire's Mendocino Complex information sheet for details on evacuations ordered in Mendocino and Lake counties. The Mendocino County Sheriff's Office is also providing evacuation updates on their Facebook page. Cal Fire is publishing repopulation notices on its Ranch and River fire information pages.